I saw the movie Lincoln over the weekend and I agree with the critics. It’s a great movie. Five minutes into the film, you’ll forget you are watching Daniel Day-Lewis and believe you’re watching Abraham Lincoln. The movie centers on the passage of the Thirteenth Amendment to the United States Constitution which prohibited slavery in all U.S. Territories. One of the revelations of the film is the length to which Lincoln was willing to go to “bribe” opponents of the proposed amendment. As the film begins, the amendment is given a slim to none chance of passing. Then Lincoln engages “consultants” to begin bribing congressmen with political favors, federal jobs, and even outright cash payments. From what I’ve heard and read, the film is, for the most part, historically accurate. 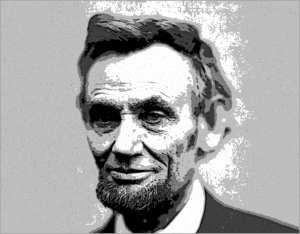 Lincoln believes so strongly in the Amendment, that he engages in very “slimy” politics to achieve his righteous goal. This got me thinking; maybe “earmarks” are a good thing. We’ve been conditioned in recent years to regard political earmarks as very bad things. Pious politicians, such as John McCain are continuously pointing out, district-specific, “pet” projects attached to major legislation that seem, on the surface to be wasteful. Watchdog groups and the media also love to showcase seemingly outrageous earmarks as examples of government waste. Who doesn’t remember the “Bridge to Nowhere”, championed by Alaska Senator Ted Stevens, or Ted Kennedy’s “The Big Dig” in Boston? But how much do earmarks really cost compared to losing great legislation that may not pass for lack of them? The most recent figures indicate that all earmarks in 2010 cost only about 1% of the Federal Budget, or about $16 billion dollars. Compare that with the $4 billion that the National Debt grows every day and you quickly see that cutting out all earmarks would only cut four days spending from our yearly deficit. Now consider the good legislation that doesn’t get passed for lack of earmarks, including new laws that drastically reduce our deficit and you are beginning to understand the quandary. Voters complain about “gridlock” in Congress, yet cheer for politicians like McCain who make “political hay” by denouncing the “evils” of earmarks. Is it possible that as wasteful as earmarks seem, they’re a good thing? Most historians agree that Lincoln would never have past the Thirteenth Amendment without bribery. Politics is bribery. To get a Congressman to vote against his heartfelt principles, you must bribe him. Our country is currently facing an issue as dangerous to our national survival as Lincoln’s Thirteenth Amendment – our crushing national debt. Our government’s need for borrowed money in order to function is already influencing our public policy. Our fiscal mess will destroy the United States in a few years if we do not solve this entitlement crisis. Yet Congress has never been more partisan and divided. Serious bribery may be in order.